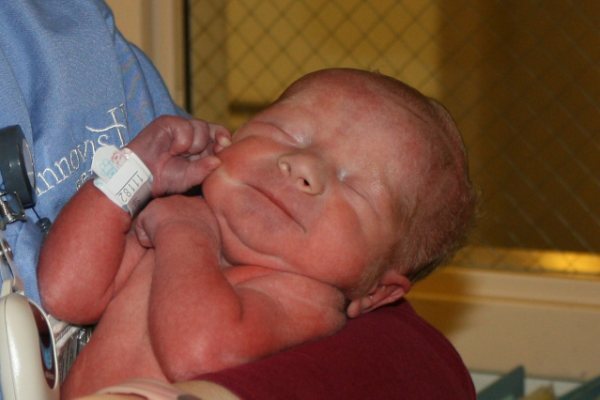 Mur-Man was born weighing a respectable 4 pounds 10 ounces, but luckily I had fabulous doctors that were prepared for his early arrival. We prepared and he was born healthy! He didn’t spend any time in ICU and went home with me just two days after his arrival. Mur-Man getting his first bath! Since then he has been growing and growing, but he still is on the small side. And his belly is no exception—he is swimming in his jeans. And so, I needed a simple solution. Mur-Man's pants are always falling down! I turned to one of our favorite mommy crafting blogs, smashed peas and carrots, for inspiration. 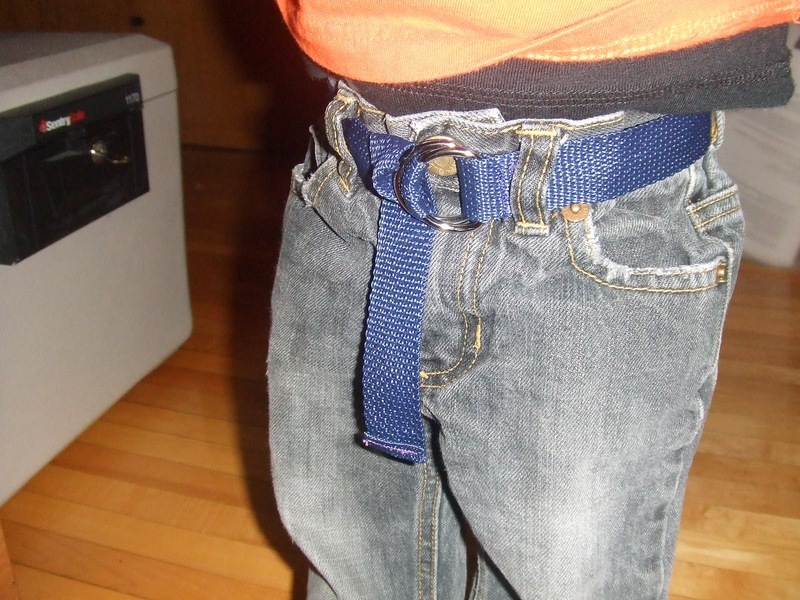 Seriously this project took me less than an hour to make two belts for my Mur-Man. I opted for navy and tan. 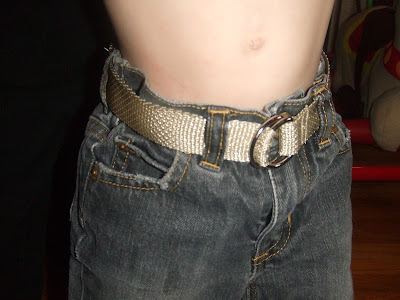 Cut your belting ribbon to fit your child’s waist plus at least six inches (this allows for growth). Fold one end down and under and sew (you don’t want any raw edges). 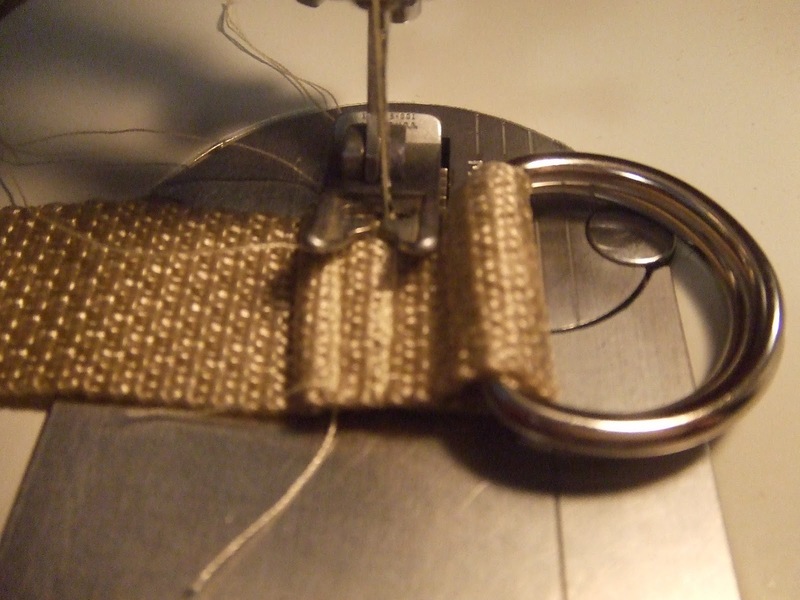 Fold the other end down with the D-rings (two) on the inside of the loop. I opted to sew two seams (one close to the edge of the fold and one closer to the D-rings). Don't get too close, but make sure it is secure. Voila! DONE! SUPER EASY! And super affordable! 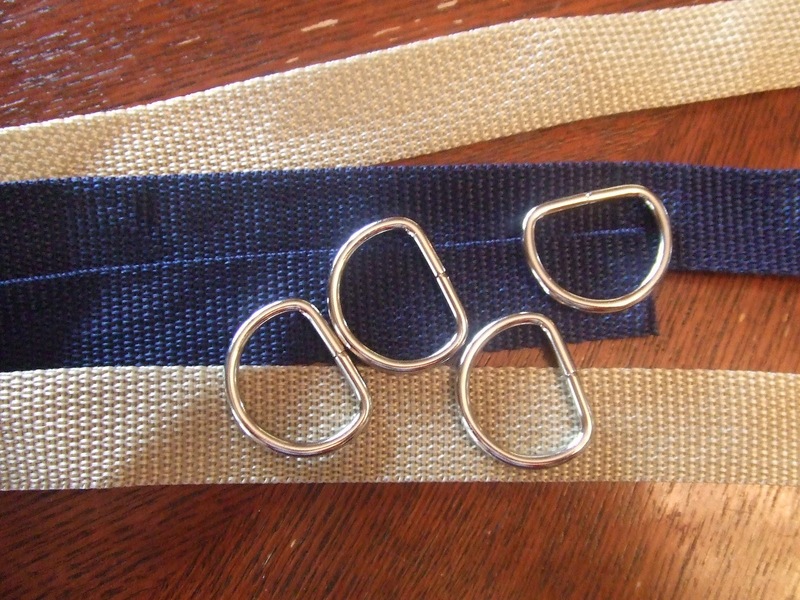 This cost me: $1.24 for the two pieces of belting ribbon and a few dollars more for the D-rings! The tan belt in place. 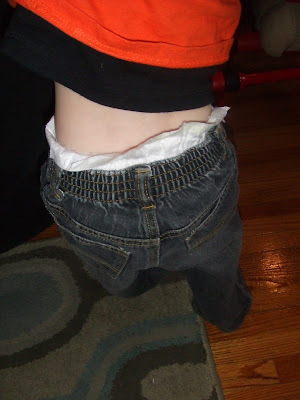 NO MORE FALLING DOWN PANTS! Navy belt on...READY, SET, GO! Now…Mur-Man can crawl and walk (hopefully soon) with confidence…no more pants off—dance off in our house!